I have said it before but I am glad to say it again. Life is a journey, and no where is it more of a journey than on the path to better health and a more sustainable lifestyle. I have grown herbs before but as time has passed, I am finding more and more uses for fresh herbs. I enjoy growing them and have been surprised by their resilience to the weather conditions. Growing fresh herbs may not be a large step in the journey to fresher food and better eating, but it is a step in the right direction. While I am certainly no expert in growing herbs, I have learned a few things and wanted to share these with you. Herb Gardening: garden plot or containers? I have planted herbs in both a garden plot and in containers. For the most part, I prefer planting herbs in containers. This way I can bring them in easily, if the weather warrants it. Some of my herbs have successfully overwintered because I can keep them in a protected porch area. Growing several types of herbs together actually helps the plants do better. Be careful with herbs that grow and spread quickly like mint, oregano, lemon balm and tea balm because they may crowd out the other herbs in the container. Plant the herbs seedlings in your container with good drainage and soil, leaving a few inches between each plant. As they grow, cut the tops of taller plants to encourage growth. Allow the soil to dry out between watering, to avoid rot. Water every few days as needed, adding water slowly until water seeps out the bottom drainage holes. Harvest your herbs early in the day as the dew is beginning to dry. The flavor will be better at this point. Rinse in cool water, shake gently to release the water and lay on paper towel. Discard broken, bruised or dead leaves and stems. Tie in small bundles and hang indoors for best flavor retention. Do not dry in the sun because the herbs will lose flavor and color. Tender Herbs can be hung to dry also, but using a paper bag with holes punched in it will help keep the herbs from dropping leaves and seeds. Hang upside down in the paper bag in a well ventilated area. Use small bunches to avoid molding. Examples of tender herbs are: Basil, Oregano, Taragon, Lemon Balm, and Mints. Lay the clean leaves on paper towels, layer another paper towel on top making up to five layers of herbs. Use a cool oven temp. Leaves will dry flat. Lay herb leaves in a single layer and dry on a low setting. Using Dried Herbs – Dried herbs are 3 to 4X stronger than fresh herbs so adjust recipes calling for fresh herbs accordingly when using dried. Use 1 to 2 teaspoons of dried herbs per cup or 3 teaspoons fresh per pint of hot water for teas. Steep 10 minutes. Infusions are a deeper liquid. Steep for 20 minutes or more resulting in a much stronger brew. I was taught to fill a quart mason jar about 1/3 with dried herbs and the rest with the hot water. So, you can see how that will be a much stronger blend! Basil, Chamomile flowers, Chives, Dill, Eucalyptus, Ginger Root, Lemon Balm, Lemongrass, Marjoram, Mint, Oregano, Parsley, Sage, Rosemary, Thyme, Valerian root, Verbena. Alliums, Bee Balm, Carnation, Echinacea, Hibiscus, Hollyhocks, Honeysuckle (avoid the poisonous berries!) Lavender, Marshmallow root, Red Clover, Nasturtiums (flowers and hips) and Violets. Made by boiling or simmering the herbs/plants, using the woody parts, bark and the roots, versus the leaves. Very Concentrated. Made by soaking the plant or parts of the plant in alcohol and water. Strain out the plant material and store. Soaking in a liquid that extracts certain chemical properties. Strain out the plant material and store. Used as flavorings. Making herbal vinegars is easy and a great way to use your culinary herbs. Place clean dry herbs in a sterilized mason jar, One cup of herbs combined with three cups of vinegar. Pour the vinegar over the herbs. Cover with a non-reactive lid, and let sit in a cool, dark place for a few weeks. Strain off the herbs, pour the vinegar in to a clean jar and label. For even more flavor, try using real vinegars such as white wine, red wine, apple cider, or rice as opposed to white distilled vinegar. Using herbs can be good for your health and beautiful for your garden. Always consult your doctor for possible drug interactions with herbs and your prescriptions. Make sure you are using the correct part of the plant when making teas. Some plants have toxic parts but the flowers or leaves are ok if prepared correctly. Foxglove and Lily of the Valley are always toxic to people and animals. Plant these carefully and never ingest any parts of these plants. 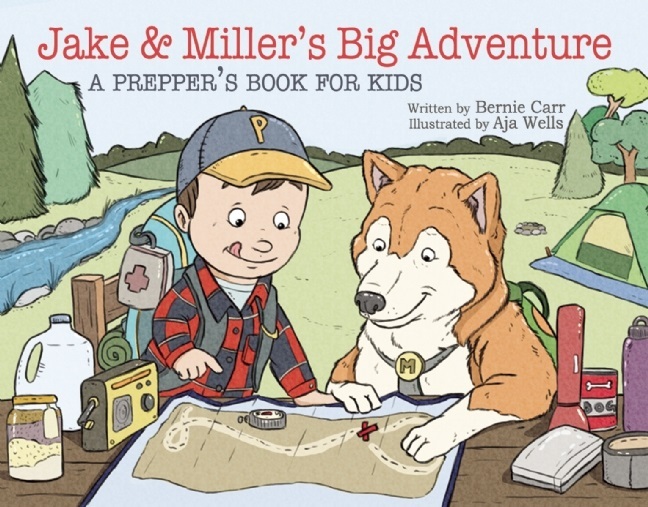 About the Author: Janet Garman writes the Timber Creek Farm blog. 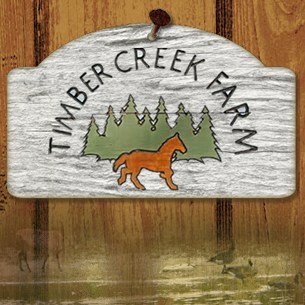 Timber Creek Farm blog has a mission to encourage others seeking to be more self sufficient in their lifestyle and food choices. We farm our family farm in Central Maryland, raising livestock, garden vegetables, eggs from our chickens and ducks and we make yarn from our sheep and goat fleeces. Our family is always looking for ways to become more sustainable in the midst of suburbia. supply company with a good reputation basewd on years of service. next to your plants and make sure to leave an opening. Herb Gardening: The Time Is Now | Survivalist Basics | Be Prepared For Anything!